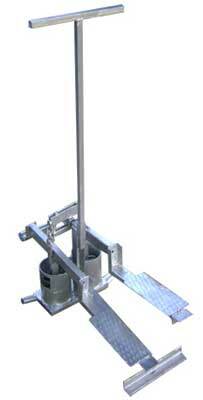 We manufacture and supply highly acclaimed Treadle Irrigation Pumps in the international market. These types of Irrigation Water Pumps have discharge capacity of approximately 2000 to 2400 Ltrs per hour. They are suitable for irrigation up to the area of 2 Acers of land. Manufactured from the best quality raw materials like steel, our Irrigation Water Pumps are highly endurable and long lasting in nature. In addition to this, we are considered as an eminent Irrigation Water Pumps Manufacturer and one of the ace Exporters of the same.